Land O Lakes Winery is the destination for wine enthusiasts of all levels to purchase high quality handcrafted wine by the bottle or by the case. 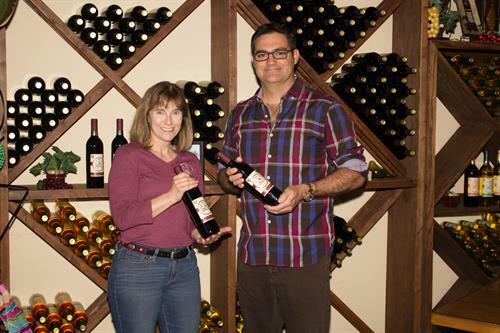 Founded in early 2015, Land O Lakes Winery is committed to producing the highest quality handcrafted wine using the finest grapes from around the world. At Land O Lakes Winery, we view buying wine as an Experience and Craft Wine is in a Class all its own! 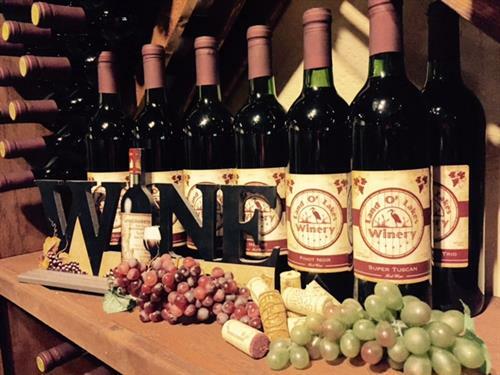 By the Bottle or By the Case - Land O Lakes Winery offers over 20 varieties of Red, White and Sweet Wines, all naturally low in sulfites and produced on-site. Love that wine ~ Take some home! Looking for that perfect bottle of wine to accompany dinner or a unique gift for a special occasion? Look no further. We carry handcrafted wine to suit all tastes. Each bottle is handcrafted with care and absolutely delicious. Land O Lakes Winery offers some very unique options for individuals and businesses such as Private Labeled Wine By-the-Case - Perfect for Business Appreciation, Weddings, Birthdays, Holidays, Any Milestone Event or Special Occasion. Wine Club for the serious craft wine enthusiast seeking great value. Wholesale opportunities for those seeking high quality handcrafted wine to serve and sell in their restaurants, bars or retail establishments. Experience the difference ~ Make Land O Lakes Winery your destination for quality handcrafted wine By the Bottle or By the Case. 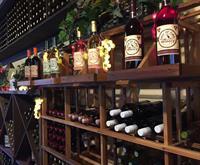 The Art of Craft Wine - Land O Lakes Winery is the destination for wine enthusiasts of all levels. Private Labeled Wine - Looking for a way to WOW your guests with a unique gift that will stand out from all the others? 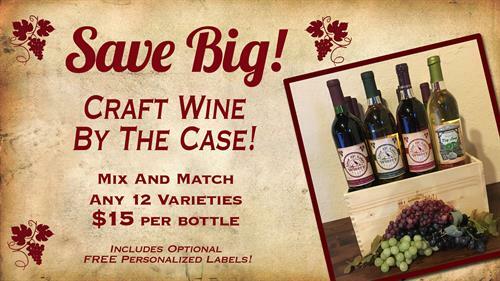 Wholesale - Would you like to carry handcrafted wine from Land O Lakes Winery in your retail store, restaurant or bar? Off the west side of Land O' Lakes Blvd. (US 41); 1 1/2 miles north of SR 54 and just south of Lake Patience Rd.